While getting to know my brides, especially those who I have so much in common with, usually make the best final images. When Colby and I spoke about what her vision for her bridal session, we discovered how we both loved exploring abandoned places. We decided to dig into the heart of Charlotte, NC. One of the locations we found had broken glass on the ground. Carefully, I laid down and used it for my foreground, and placed Colby in the background. With the light hitting the shattered glass a certain way, I was able to achieve that beautiful bokeh. 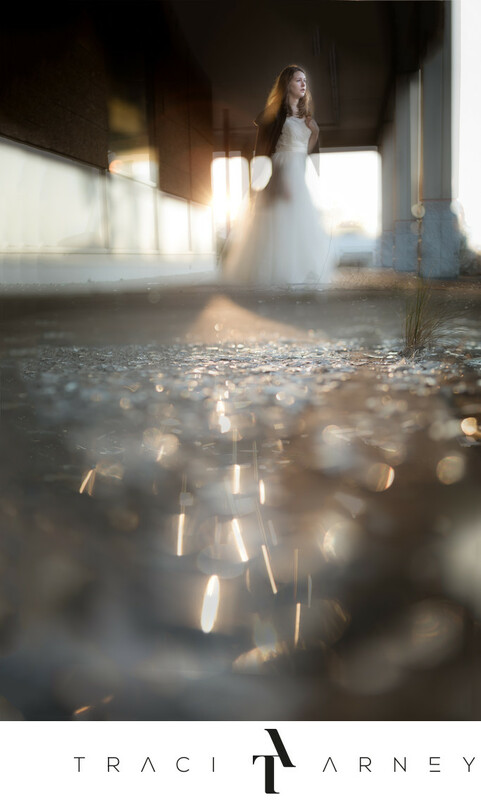 Keywords: Abandoned Buildings (3), Bridal Portrait (15), Charlotte (72), Double Exposure (21), Fine Art (6), NC (636), Portrait Session (24), Tilt-Shift (18). 1/30; f/2.8; ISO 100; 43.0 mm.